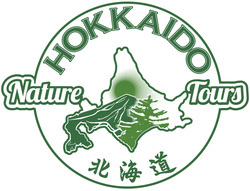 The Noboribetsu & Lake Toya Day Trip is one of the most popular day excursions from Sapporo. Both areas are located in a highly active geothermal region with active volcanoes and hot springs in every direction. We’ll start by driving to Noboribetsu Onsen Resort to explore Hell Valley, a 450 meter long scarred landscape bubbling with volcanic activity. 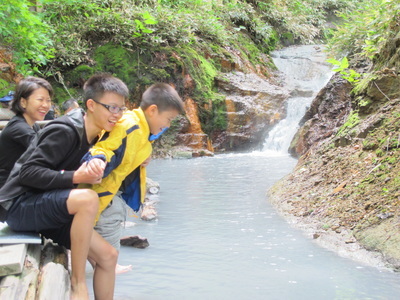 We can enjoy a one hour hike or short drive to Oyunuma hot spring lake, river and waterfalls, where you can take a relaxing foot bath in the dense forest. We’ll then drive over a mountain pass with impressive views of Mt. Yotei, the “Fuji of the North.” On the other side of the pass is Lake Toya, a gorgeous caldera lake with islands sticking out of the middle. We’ll head for lunch at the excellent Wakasaimo Restaurant, with quality Japanese cuisine and great views. Next, we’ll ride the Mt. Usu-zan Ropeway to the crater rim of the active volcano, with great views and extendable hiking options around the rim. 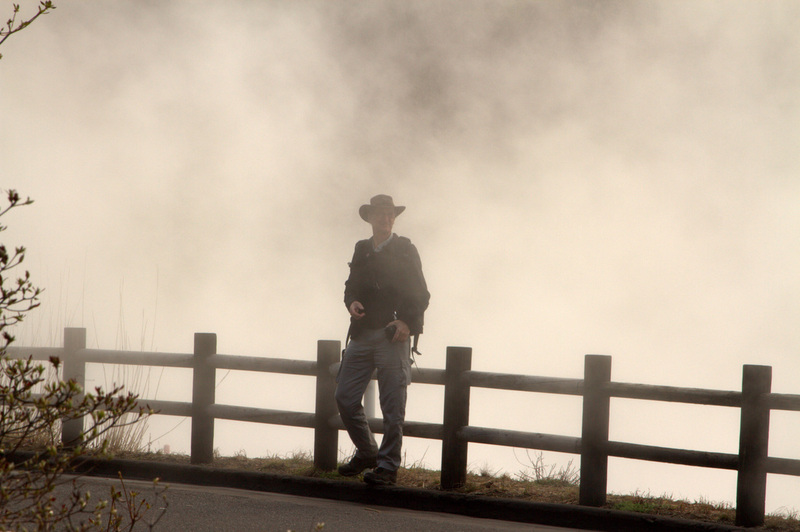 We’ll then explore the Kompirayama “Trail of Destruction,” where an eruption in March of 2000 destroyed a part of Toyako town. See first-hand the damage inflicted on roads and buildings from Hokkaido’s most recent eruption. We’ll end this great day with a hot springs bath overlooking the lake, before driving back to Sapporo via a scenic mountain route. ✔ Scenic walking between volcanic sites in Noboribetsu Onsen Resort, such as Hell Valley, Oyunuma Hot Springs Pond, hot springs river and waterfalls and a foot bath in the middle of the forest. ✔ Ride the Mt. 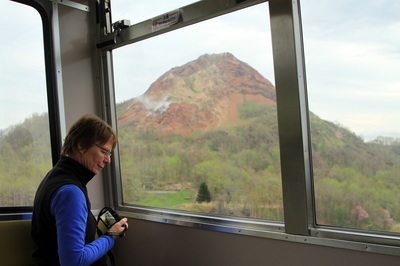 Usu-zan Ropeway to the crater rim of one of Japan’s most active volcanoes for great views over Mt. Showa-Shinzan, Mt. Yotei, Lake Toya and the Pacific Ocean. 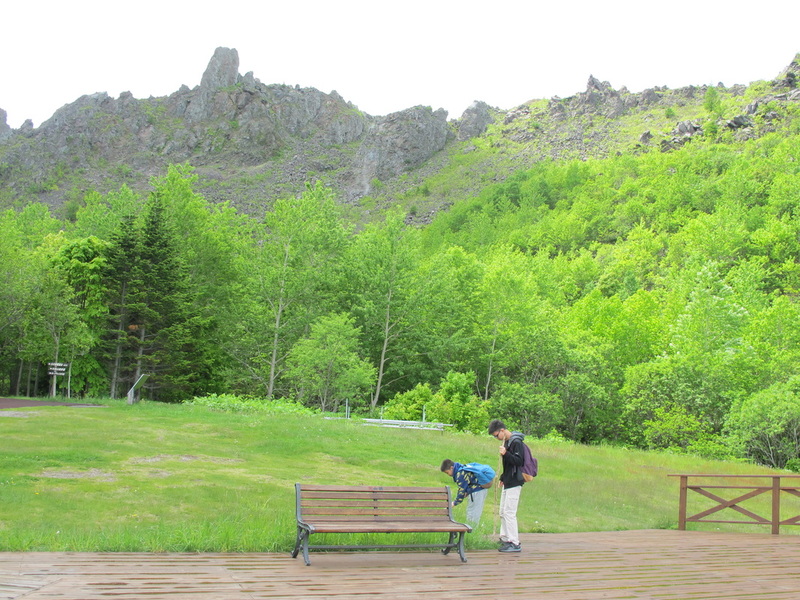 Extend the walk by 1.5 hours to reach the end of the crater rim trail. 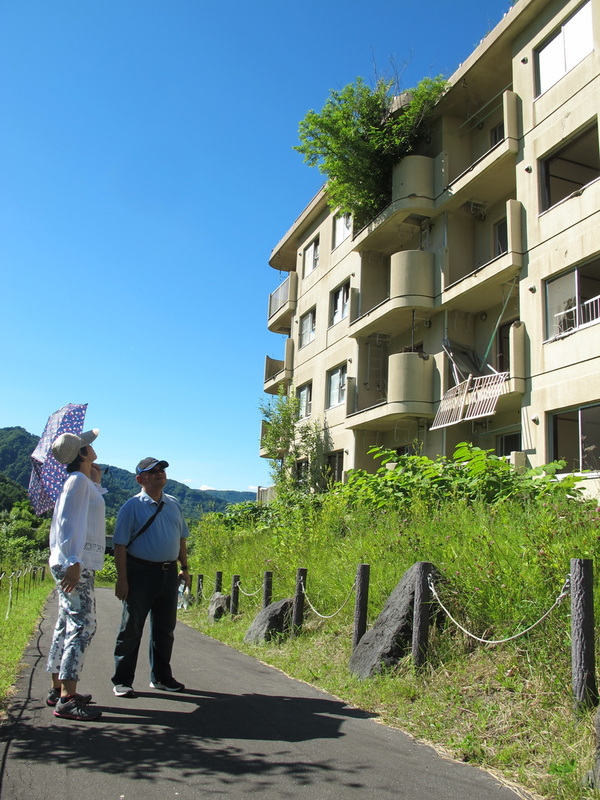 ✔ Explore the “Trail of Destruction” at a sub-section of Toyako town, where a large eruption damaged buildings and roads in 2000. 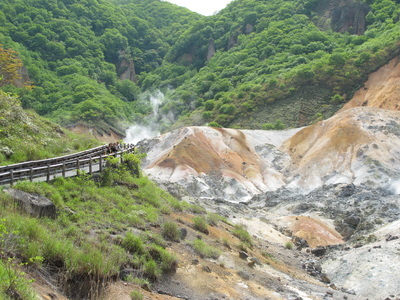 Enjoy an easy and stunning walk around a circuit of Noboribetsu’s great volcanic features (appx. 1.5 hours). Alternatively, choose to drive between the main attractions. Ride the ropeway up Mt. Usu-zan with incredible views of Mt. Showa-Shinzan, Mt. 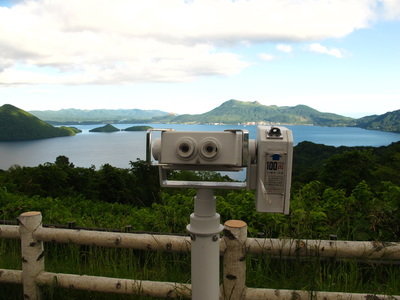 Yotei, Lake Toya and the Pacific Ocean. The crater rim walk follows an easy trail, with views of Mt. 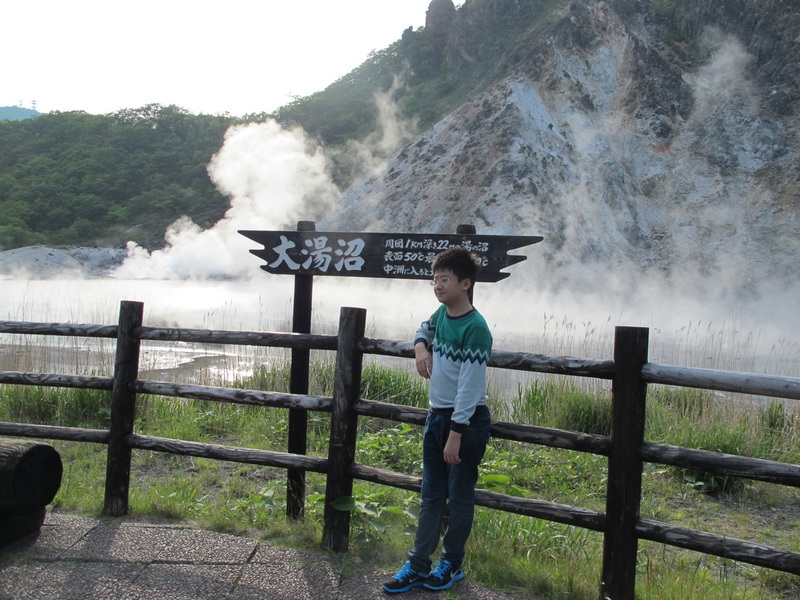 Usu-zan’s fumaroles from the viewing platform. Known as the “Trail of Destruction,” the path passes damaged buildings that look as if a war happened there. 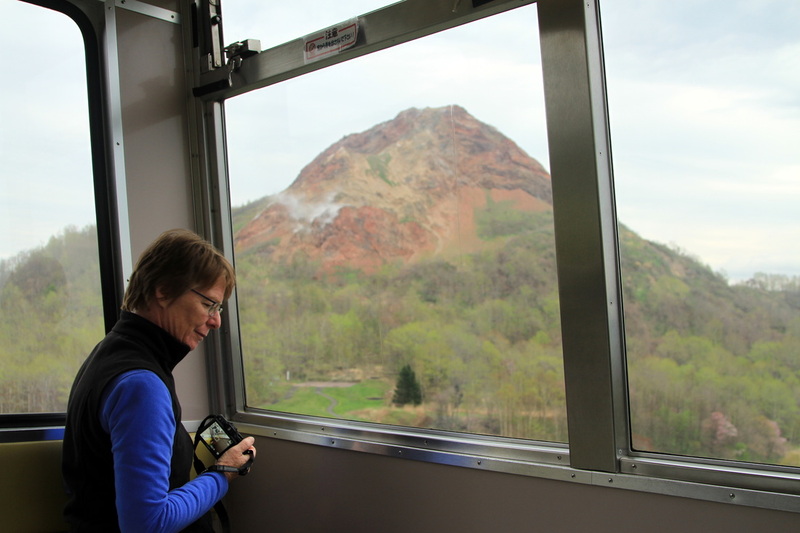 You’ll see firsthand the destructive power of volcanoes from the most recent eruption in 2000. 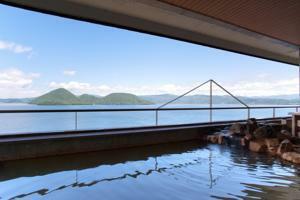 One of the nicest onsens in Lake Toya, with baths overlooking the lake. Please bring your own onsen towel or rent one from the hotel. Drop-off at your hotel or another downtown location.